Head to Third Street Promenade and Abbot Kinney Boulevardfor some retail therapy. Get some historical perspective at Santa Monica Pier and Hollywood Walk of Fame. You'll find plenty of places to visit near Los Angeles: Santa Monica (Bergamot Station & Montana Avenue) and Disneyland Park (in Anaheim). 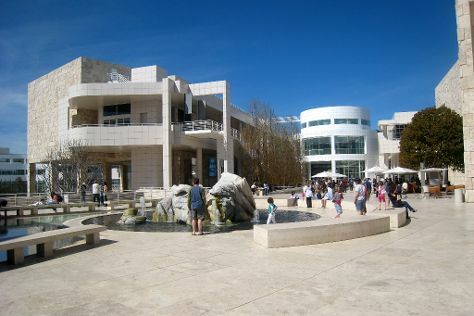 There's still lots to do: see the interesting displays at The Getty Center, stroll the grounds of Hollywood Forever Cemetery, hunt for treasures at Melrose Trading Post, and browse the different shops at The Grove. To see more things to do, photos, maps, and other tourist information, you can read our Los Angeles road trip planner . If you are flying in from Italy, the closest major airports are Los Angeles International Airport, John Wayne Airport-Orange County Airport and Ontario International Airport. Expect a daytime high around 28°C in November, and nighttime lows around 15°C. Cap off your sightseeing on the 18th (Sun) early enough to travel back home.